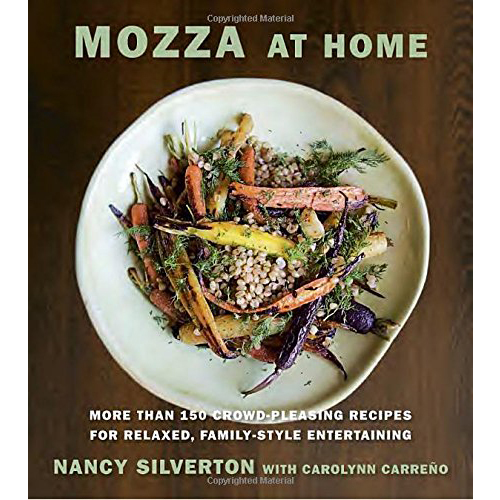 In Mozza at Home, owner of 6 restaurants, Nancy Silverton, shares her renewed passion and provides nineteen menus packed with easy-to-follow recipes that can be prepared in advance (with no fancy restaurant equipment needed!) and are perfect for entertaining. Organized by meal, each menu provides a main dish along with a complementary selection of appetizers and side dishes. Under Nancy’s guidance you can mix and match all the options depending on the size of your gathering. Make a few sides for a small dinner party with friends, or make them all for a delicious family feast! 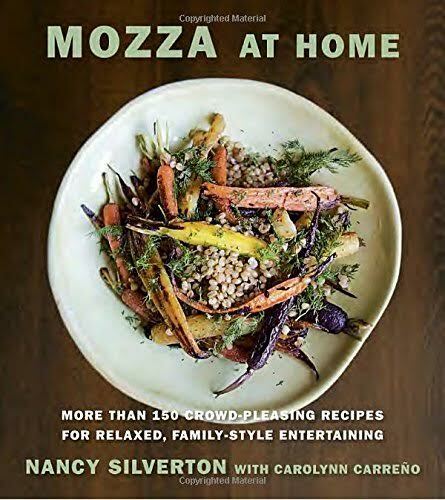 And don’t forget dessert—there’s an entire chapter dedicated to end-of-meal treats such as Devil’s Food Rings with Spiced White Mountain Frosting and Dario’s Olive Oil Cake with Rosemary and Pine Nuts that can be prepared hours before serving so that the host gets to relax during the event too.